This article originally appeared in The Daily Herald on August 5, 2013. Chris LaRue has helped grade Advanced Placement exams for the College Board for more than a decade. During a marathon grading session years ago, she heard other teachers talk about cheap travel opportunities for teachers. At the time she didn't know such grants were out there but the tip opened up a world for her — literally. 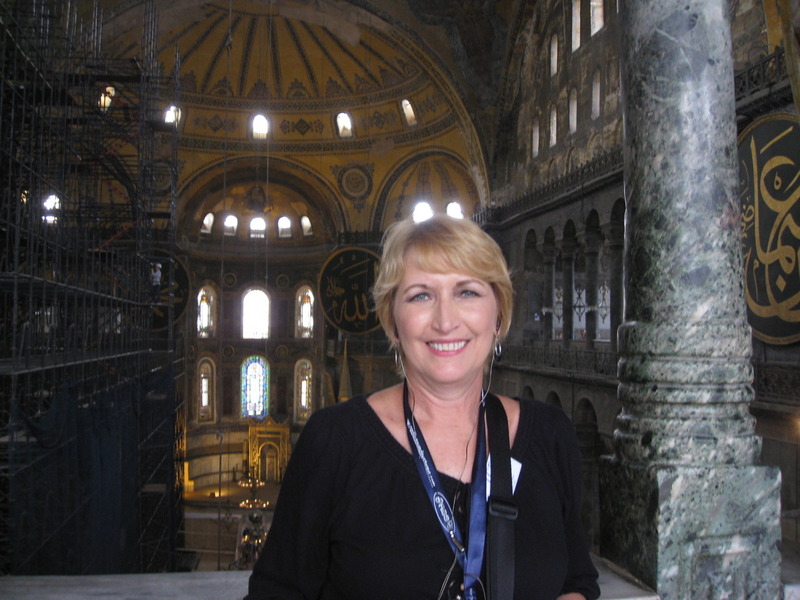 LaRue, a teacher in Elgin Area School District U-46's gifted academy, recently spent two weeks in Turkey. She has also visited China and Germany and she hopes to go to Japan next summer. This year's trip was paid for almost entirely by the Turkish Cultural Foundation though LaRue had to contribute $700 and promise to incorporate some of what she learned into her lesson plans. Neither requirement was a problem for her and LaRue already has multiple lessons in mind for her advanced placement world history, AP European history and AP art history classes. She has a fully formed lesson about sacred spaces ready to go — it was part of her application for the trip. Students will learn about how a people's beliefs and practices are reflected in the way they arrange their sacred spaces. 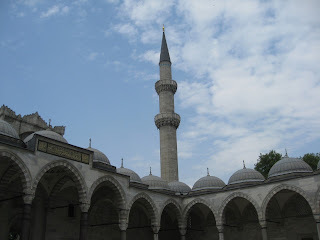 Turkey's Suleymaniye Mosque, for example, faces Mecca, as all mosques do. Her recent visit to the Basilica of St. John and the Hagia Sophia, which has gone from a church to a mosque to a museum, will inform her lesson plan and give students a chance to see pictures she took while she was there. Giving students examples of travel — and making sure they know about organizations that offer it at reasonable costs — is all part of her "meddling," as she calls it. "I always encourage students to have a global experience," LaRue said. And many take her up on the recommendation when they get to college and have the opportunity to study abroad. That's where LaRue got her start in international travel. As a student at Marquette University, she studied in Rome. 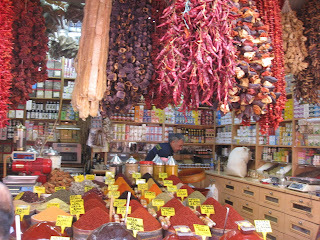 That experience also gave her an introduction to Turkey, which she said was a very different country back in 1970. LaRue said Turkey has come a long way, especially given its existence only dates back to the 1920s. Turkey is trying to meet the requirements of full membership in the European Union and LaRue said one current social push is to better respect minorities in the country. "Hey, aren't we doing that here?" LaRue pointed out. "It's a universal thing — respect the rights of all people in your country. Every country has their own culture and diversity problems." The Turkish Cultural Foundation funds trips for teachers to spread understanding of the country within the United States. The tour included visits to sacred spaces, the site of the ancient city of Troy and Gallipoli, where one of the most famous battles of World War I was fought. LaRue and her fellow teachers got to meet other educators, students, artists, professionals and the U.S. Ambassador to Turkey. LaRue plans to brief other U-46 teachers on her travels and share her lesson plans, especially within the World History Department. "The district is very encouraging of teachers sharing," LaRue said. "In a way it's free professional development." 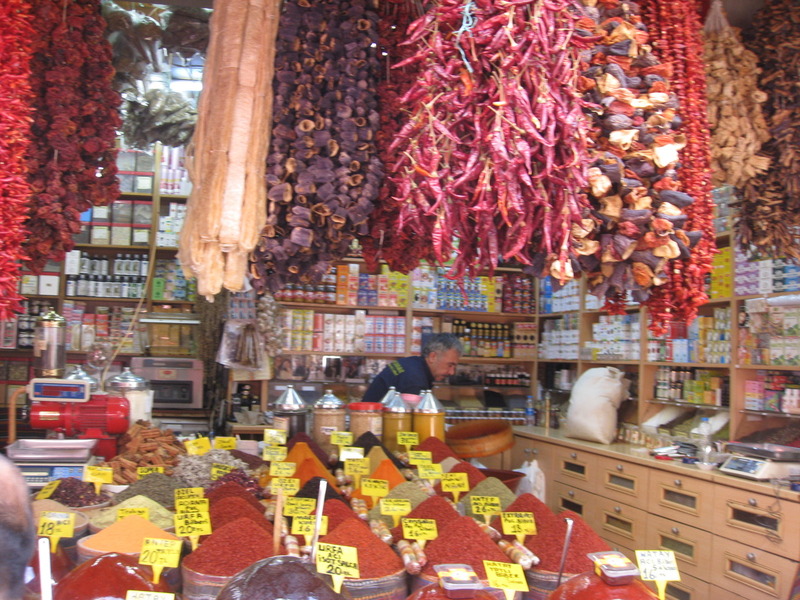 Planning for a 2014 Turkey trip is already under way. Interested teachers can learn more at turkishculturalfoundation.org. Photos from LaRue's trip can be seen on her blog at larueturkey.tumblr.com. Chris LaRue is a European Union Center-affiliated teacher who has participated in the EUC's curriculum development workshops, the Euro Challenge competition, and the EUC's Study Tour to Europe in 2012.